Summer makes me want to eat all the fruits. 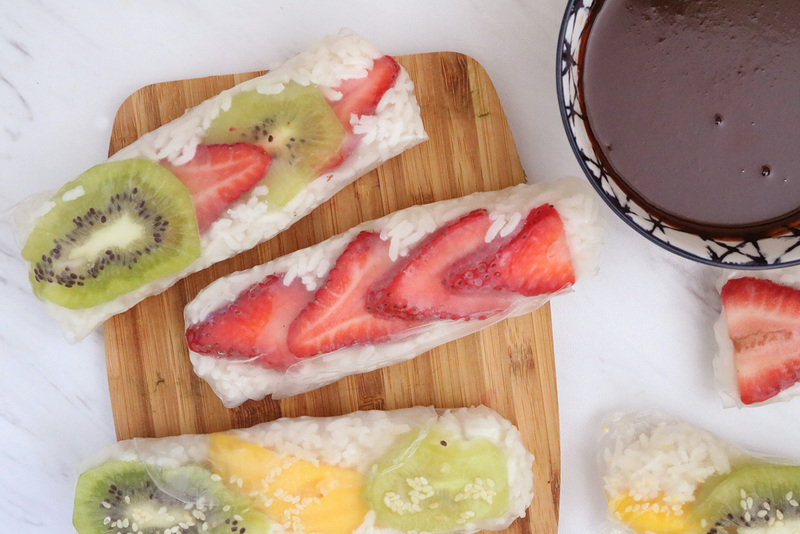 And while I can’t say no to a classic smoothie or fruit salad, making these fruit spring rolls for eHow might very well be the highlight of my month. After all, I’m all about recipes that take traditional foods for an unconventional spin. Take spring rolls, for example. They’re often made with savory ingredients and vegetables, but who says we have to stop there? 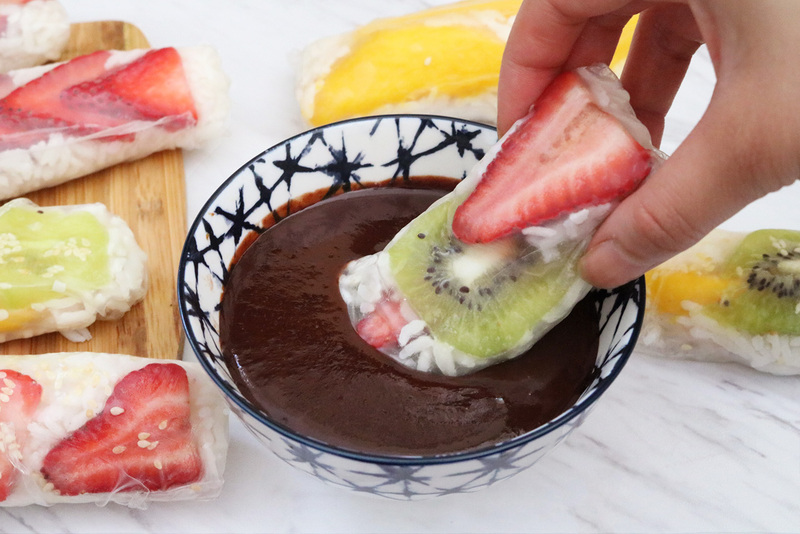 These fruit spring rolls feature coconut rice, fresh fruit, and even a chocolate dipping sauce. Yes, please. In place of chocolate dipping sauce, you can also use caramel sauce or marshmallow fluff. Looking for a lighter option? Opt for Greek yogurt, honey, or your favorite smoothie. Something tells me a whipped cream cheese dip would be ah-mazing, too. 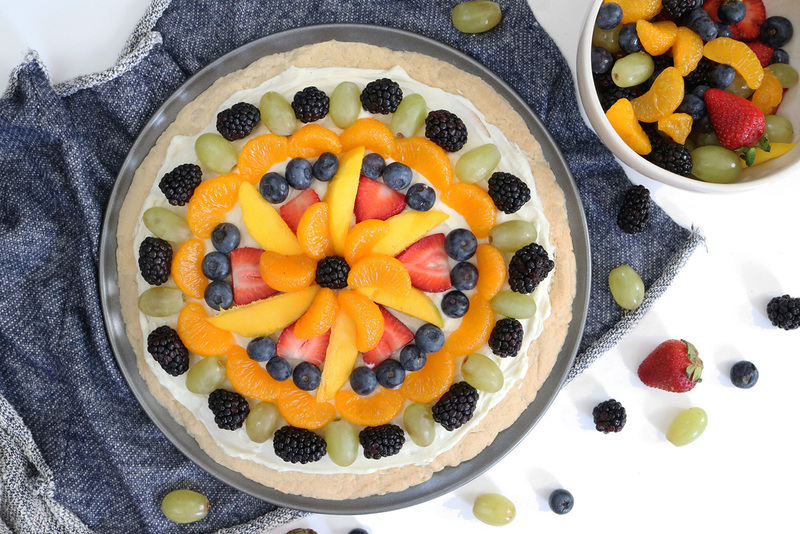 For another fruity summer dessert, make this fruit tart pizza, another one of my recent recipes for eHow. How gram-worthy, right? This one calls for a delicious cream cheese frosting and a beautiful mandala of actual fresh fruit. Oh, and the crust is a giant sugar cookie. To make your own batch of fruit spring rolls, head on over to eHow.